In stock products ship in 1 business day. There might be some taxes and fees added. Pre-order now. Ships in June. This is the perfect bundle for minimalist filmmaker. No batteries or electronics to rely on. Just simple, smooth, cinematic filming. This bundle has everything you need to motorized your slider and start getting incredible 3-axis movement. Make sure to add Rhino Focus to your bundle to keyframe your focus for even more dynamic shots. This bundle has everything you need to start time-lapsing like a pro. The ultralight 42” Carbon rails make packing your gear in much easier and the included High Torque motor lets you get incredible vertical shots. Make sure to add Rhino Focus to your bundle to keyframe your focus for even more dynamic time-lapses. The Ultimate Slider Bundle equips you with a complete 4-axis slider setup that can capture anything from a dynamic interview with a 15lb cinema camera to a vertical day to night time-lapse with a mirrorless setup. 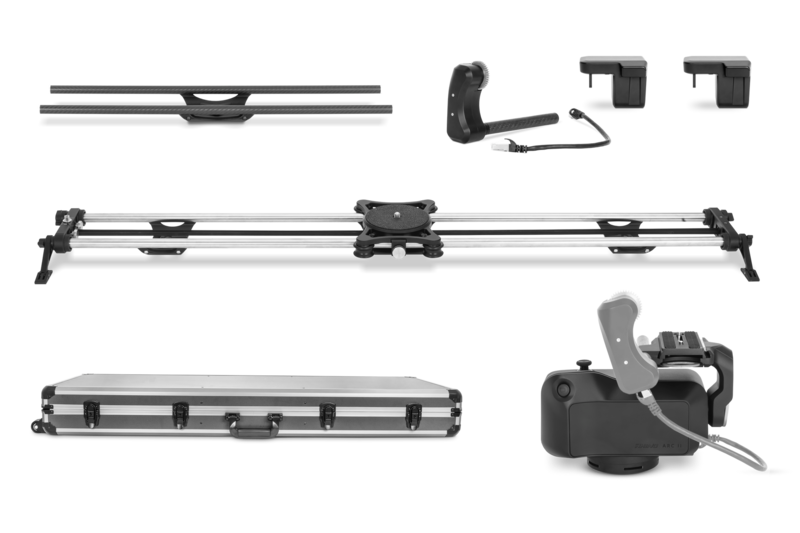 Our goal with this bundle was to put everything you’d ever need for a slider setup in a hard shell case that you can travel with and keep your gear organized for whatever shoot comes your way. Here's to hard work and great stories. © 2019 Rhino Camera Gear. All rights reserved 2019.